Planning Student Organizations (PSOs) throughout the country are involved in exciting and creative activities that connect students to APA, contribute to their communities, and provide enhanced educational experiences for the students. This awards program provides a means for student groups to share their ideas, learn from one another, and receive recognition and rewards for creative, successful activities. The 2019 Outstanding PSO is the Associated Students of Planning and Development (ASPD), the Planning Student Organization for the Master of Planning program at the University of Southern California Sol Price School of Public Policy. ASPD was developed to provide planning students a formal space to organize, explore, and promote academic and professional development opportunities related to the field of urban planning while fostering networking relationships among people interested in the field. ASPD plans to use the cash prize to broaden the scope of programming currently offered, to including scholarships and travel assistance for planning students to attend APA conferences, honorariums for special guest speakers, and activities to better engage community members. This award will also help to implement a variety of new initiatives such as the Urban Crawl in Tijuana, an on-campus planning conference known as the "ASPD Urban Summit," and a much more expansive Planning for College event. With the award, the group will deepen its relationships with the broader Los Angeles community and APA, strengthen and grow our current programming and projects, and bolster our overall impact as an organization. The 2019 Outstanding PSO is the Associated Students of Planning and Development (ASPD), the Planning Student Organization for the Master of Planning program at the University of Southern California Sol Price School of Public Policy. 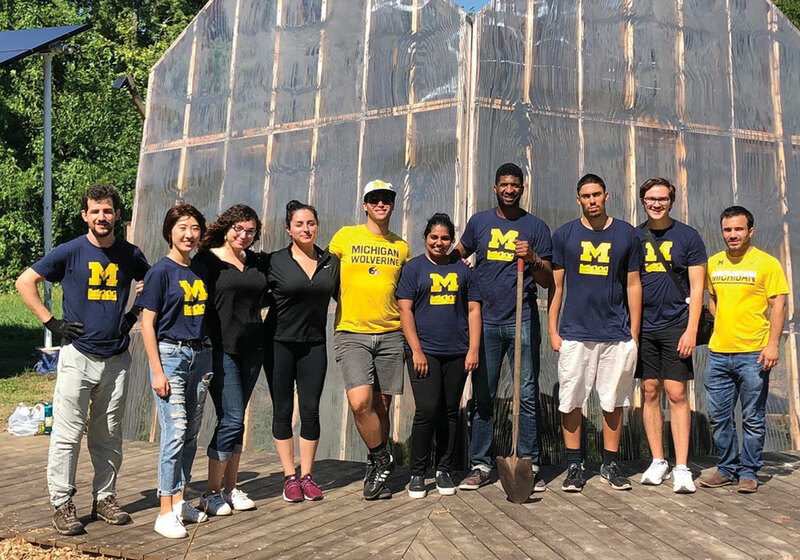 The Urban Planning Student Association (UPSA) at the University of Michigan serves to explore, promote, and support academic understanding, professional development, and the overall advancement of the field of urban and regional planning. UPSA provides social, academic, and professional programming for students, and it advocates for the program within the university. As a representative student organization, UPSA has been the voice of emerging planners at the University of Michigan for over 20 years, tailoring activities to meet student needs with each iteration. Leadership positions are peer-nominated and elected to represent the current master's and PhD students in the urban and regional planning program. Over the past year, UPSA has spearheaded activities and events to enhance the student experience, create a robust and cutting-edge program, and by extension, continue to develop professionals and academics who advance the field. The 2019 Outstanding PSO Honorable Mention is the Urban Planning Student Association (UPSA) at the University of Michigan. An honorable mention is awarded to Georgia Institute of Technology's Student Planning Association. Congratulations to the University of Minnesota–Twin Cities, Cleveland State University, and the University of Southern California, winners of the 2017 Outstanding Planning Student Organization (PSO) Awards. An honorable mention award goes to the University of Illinois at Urbana-Champaign for its Student Planning Organization (SPO) in the category of Best Practices. Congratulations to the Indiana University of Pennsylvania and the University of North Carolina at Chapel Hill, winners of the 2016 Outstanding Planning Student Organization (PSO) Awards! Honorable mention awards go to the University of California at Los Angeles for its Planners of Color for Social Equity and the University of Illinois at Urbana-Champaign for its Student Planning Organization (SPO). 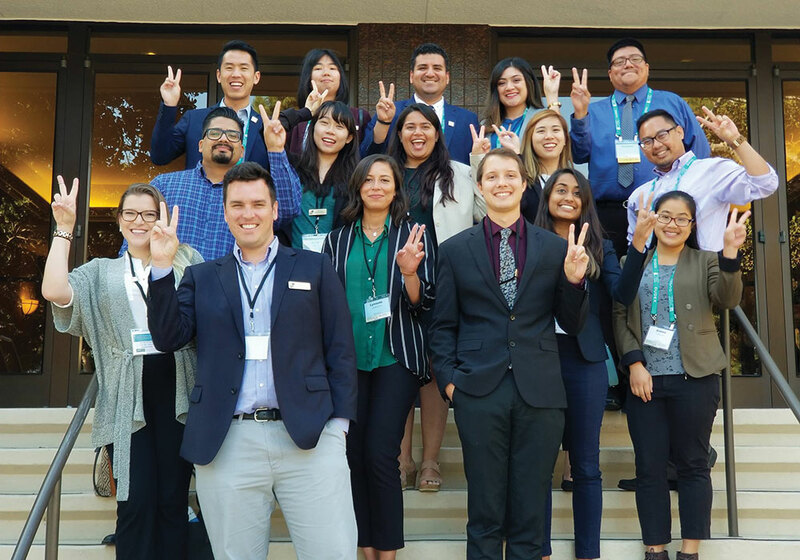 These planning student organizations were all recognized at the 2016 APA National Planning Conference in Phoenix for their accomplishments. Project: The PSO Chapter of IUP participated in and organized a series of community outreach activities in 2015, working with and raising awareness among local city government, neighborhood, businesses and non-governmental agencies. Highlights include: the Indiana University District (IUD) planning effort, a bike rally to raise the awareness of the Hoodlebug Trail extension, the New Kensington Better Block event, the Walk Works Program outreach at the Northern Appalachian Folk Festival, teaming up with KABOOM to build a playground in the Indiana Borough, building a parklet during National Community Planning Month, and supporting the APA Pennsylvania Chapter annual conference, among many others. Project: Students at Carolina Planning have been very busy this year organizing a series of initiatives to create a meaningful experience for its students. First, the Carolina Planning Journal published a print volume in May 2015 around the theme of "Planning for the New Economy." It also launched a new blog that features student, academic, and practitioner work called Carolina Angles. Carolina Angles publishes twice per week and has already attracted a wide readership of almost 2,000 unique visitors. Second, its inclusion group, Plan for All, hosted twelve events that engaged issues ranging from planning for LGBTQ folks, public engagement best practices, black planning history, hazard planning and equity, and more. The group hosted Durham Mayor Bill Bell for a conversation about race and poverty in September 2015. Plan for All members are also working with faculty to identify gaps in the curriculum relating to race, class, gender, and equity. Third, its Career Development Committee coordinated a number of events and resources to assist students in finding jobs and internships in the field, such as resume workshops and mock interview events. Lastly, its students organized a Fall Break Trip to Atlanta that connected Carolina Planning students with some of Atlanta's most exciting planners such as planner Ryan Gravel, who dreamed up Atlanta's Belt Line, Tim Keane, Atlanta's Planning Commissioner, and Nedra Deadwyler, founder of Civil Bikes. Indiana University of Pennsylvania and the University of North Carolina at Chapel Hill each received $1,250 in donation from our sponsoring APA divisions. Thank you to these divisions and to the volunteers who served on this year's jury. Congratulations to Cornell University's Design Connect and San Jose State University's Urban Planning Coalition, winners of the 2015 Outstanding PSO Awards. An honorable mention award goes to the University of Central Florida's Emerging Urban Knights Planning Association for its "Technical Skills Workshop Series." These student organizations were recognized at the 2015 APA National Planning Conference in Seattle. Project: The student organization Design Connect provides design and planning services to local upstate NY communities in need. The organization has worked on community service projects in several communities over the last five years. Each project involves public participation and community outreach where students organize and conduct meetings with community leaders and the general public. In addition to meeting with community leaders, students work on behalf of residents in producing professional quality reports and design proposals. The deliverables and final designs that multi-disciplinary teams produce are of value to local communities who would otherwise lack the resources needed to work on these projects. The organization is managed by an administrative board of directors that is entirely comprised of students. Since 2009, Design Connect has worked in over 22 local communities and has involved hundreds of students from 16 different academic fields. Planning students help introduce students from other academic disciplines to community outreach methods and practices and put in to practice the skills they learn in the classroom. Project: The Urban Planning Coalition (UPC) organized and hosted its annual Fall Symposium on October 18, 2014. The Symposium is one of the UPC's richest traditions, providing a full-day conference and open forum for students and professionals to engage in a current planning topic together. This year, the Symposium was titled, "Boomers & Millennials: Planning for Changing Demographics in the Bay Area," bringing together students, alumni and professionals to discuss a planning topic critical for the success of future communities. Congratulations to the University of Michigan's Urban Planning Student Association (UPSA), winner of APA's 2014 Outstanding PSO Award. UPSA's "Expanded Horizons" event was planned by second-year Master of Urban Planning students as a way of introducing incoming first-year students to a diverse set of topics and opportunities in the field of planning. The goal is to "expand the horizons" of graduate students who want to make a difference in helping cities grow and change in a way that promotes sustainability and social justice. This year's event took place in Toronto where students attended several site visits with companies and organizations doing work related to urban planning. UPSA was recognized during the APA/AICP Annual Meeting and Awards Ceremony on Tuesday, April 29, at the 2014 National Planning Conference in Atlanta. UPSA received $1,150 in donations from sponsoring APA Divisions, including the County Planning Division, Housing and Community Development Division, Transportation Planning Division, and Urban Design and Preservation Division. The SRC Award Jury selected the following entries to receive the fifth annual SRC awards. The winning planning student organization (PSO) were recognized at the 2012 APA National Planning Conference in Los Angeles. This award also included $1,000 to each PSO to support its activities. This impressive symposium featured nationally recognized academics, practicing professionals, and student presentations centered on consensus building and conflict resolution. These events gave first-year students an opportunity to hear about the types of internships available and allowed second-years to share their summer work experiences. Students organized two events to raise student awareness of ideological attacks on planning and how to address them appropriately in public forums. They were inspired by a presentation by Robin Rather, a communications consultant hired by APA to research sustainability and planning. The SRC Award Jury selected the following entry to receive the fourth annual SRC award. The winning planning student organization (PSO) was recognized at the 2011 APA National Planning Conference in Boston. This award also included $1,000 to each PSO to support its activities. Beyond Boundaries brought together a housing planner from the City of Portland, Oregon; the Director of the Hudson River Valley Greenway, which establishes conservation lands through voluntary regional cooperation; and the principal regional planner from the Chicago Metropolitan Agency for Planning (CMAP). They discussed the strategies employed by their organizations to build public support and input for public housing, transportation, equity and climate change issues. They demonstrated how communities engaged with these issues often face constraints or pressures from outside their local structures and how participation and coordination at the broader regional level helps a community meet its needs, share its stressors and enjoy a larger voice in the planning scenario. Moving Forward, a widely popular event, brought together three nationally recognized experts in non-motorized transportation from research, advocacy and planning practice backgrounds to engage with students, faculty and community members around advances and ideas in policy and physical planning related to "active" transportation. Active transportation planning is a rapidly emerging topic that buttresses crucial community concerns through the development of physical plans that support personally powered transport. The related concerns deal with energy security, health, climate change, smart growth principles and neighborhood scale design, conservation lands, and corridor planning. Project: Realizing a desire within the Cornell community to engage in applied-planning discussion, the Organization of Cornell Planners (OCP) chose to provide two forums where practitioners could demonstrate real planning successes and reflect on challenges faced by those in the field. The SRC Award Jury selected the following entries to receive the third annual SRC awards. Each winning planning student organization (PSO) was recognized at the 2010 APA National Planning Conference in New Orleans. This award also included $1,000 to each PSO to support its activities. Project: The Organization of Cornell Planners (OCP) organized and sponsored a one-day symposium entitled: Social Justice and Unincorporated Communities: A Symposium, held on Friday, October 23 at Cornell University. We invited three speakers from across the country to discuss how cities and towns have been deliberately excluding disadvantaged communities from incorporating into their jurisdiction, rendering them without basic services such as water and sewer connections and police and fire protection. Without these basic services, people who live in these communities are hindered from the opportunity to live in safe, clean neighborhoods and benefit from the wealth-building potential of increasing property values. As cities become more fiscally strapped, these methods are increasingly justified under economic pretenses. Unfortunately, planners have been involved in these activities of municipal exclusion. The members of OCP saw an innovative opportunity for students to catalyze a larger discussion in the planning community about municipal exclusion. By bringing together three different professionals that work on different aspects of the issue, including a community organizer, a legal researcher, and an associate at an advocacy think tank, to talk with students across the Cornell campus about this phenomenon, this enabled not only the professionals to conceptualize the topic in different ways but exposed students to an emerging issue in the planning field. OCP recognized the importance of the university in fostering these budding conversations about imminent issues in the field and used the symposium as an opportunity to launch the issue into a more mainstream discussion in the greater planning community. Furthermore, OCP recognized the pivotal role that students have in challenging the status quo of the field and encouraging more discussion about difficult, and often divisive issues. Project: The association collaborated with a local NGO to teach local middle school students the fundamentals of community planning using the neighborhood surrounding schools as a living laboratory. Students learn about planning and design in the context of their own neighborhood and are engaged to discuss the implications of design and the role of their community. The SRC Award Jury selected the following entries to receive the 2nd annual SRC awards in 2009. Each winning planning student organization (PSO) were recognized at the 2009 APA National Planning Conference in Minneapolis. This award also included $1,000 to each PSO to support its activities. Funding for this year's awards was provided by the following APA Divisions: City Planning and Management, County Planning, Environment, Natural Resources, and Energy, Federal Planning, Planning and Women, Economic Development, Housing and Community Development, New Urbanism, Private Practice, and Urban Design and Preservation.